Our mission is to radically simplify enterprise big data processing in the cloud, for faster business outcomes at a fraction of the cost. 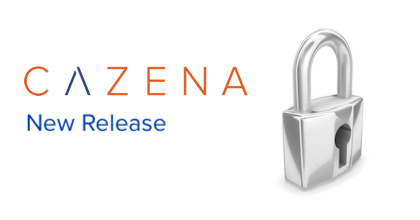 Cazena closed a $10M financing round to further accelerate channels for its Big Data as a Service. Persistent Systems, which is one of the largest IT company of India, has invested an undisclosed amount in big data as a service firm, Cazena. Big Data as a Service leader Cazena announced its new “App Cloud,” which makes it easier for enterprises to deploy a wide range of machine learning (ML) and analytics applications on AWS and Microsoft Azure with instant access to their data on the Cazena platform. Why Nudge.ai? Reach out to the decision makers at Cazena with a personalized email - let them know that you found their recent news mention interesting. Nudge.ai’s relationship intelligence platform can help you find the right executive to reach out to at Cazena, such as Prat Moghe, Founder & CEO, or Hannah Smalltree, Vice President, Marketing. Then get in touch and start a conversation. Executives can be difficult to reach, but every company has connectors who bring together people and ideas. At Cazena, people like Prat Moghe are likely connectors. When Cazena is mentioned in the news, Nudge.ai often sees topics like Funding, and Cloud. If your conversation focuses on these topics, you’ll probably get Cazena’s attention. When Cazena is mentioned in the news, companies such as Cloudera, Inc. , Mapr Technologies, and Thoughtspot are often also mentioned. These companies can serve as customer examples. Employees who are often in the news are usually open to starting conversations or exploring ideas. Nudge.ai's sales AI saw Prat Moghe from Cazena recently mentioned in the news. Who in your network can introduce you to Cazena? Nudge.ai finds the best pathway to reach contacts at this company.